As someone who embraces new ideas, it hit me like a punch to the gut, but I knew the core of the statement to be correct. As a strategy consultant, I’d come to learn that strategies most often fail due to execution. The partner went on to say, “everything has to go right,” to be successful, noting his firm passes on 99% of pitches. Beyond this, since few bets pay off, and most value is created by just a few firms, the math of VC investing can be sobering. It’s worthwhile to read how VC’s think (e.g. pattern matching). It rang true, since a fellow advisor to a fintech startup, Trevor Healy, explained to me last week he’s found that pitching often involves answering the same list of questions. A16Z is a well-known backer of Bitcoin, a topic that came up when I met today with Debbie Brackeen, Head of Innovation Networks at Citi Ventures. She recently ran a workshop on Blockchain with 30 executives from Citi from around the world. Her take was that, while people tend to hold firms views on its importance, the debate is valuable within Citi – and to how Bitcoin and Blockchain will unfold. 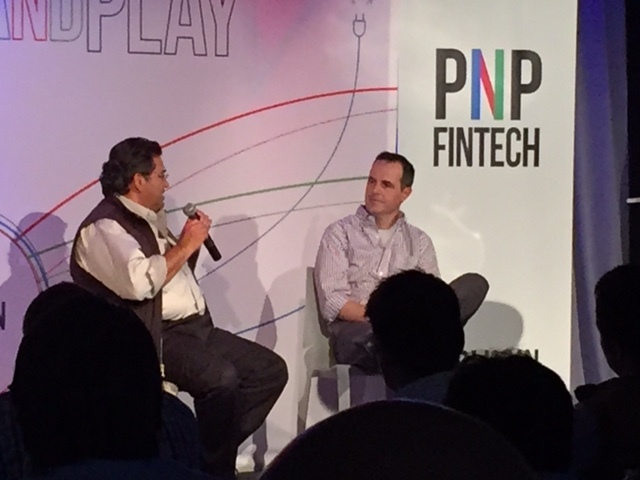 Renauld cited the importance of accelerators – like Plug and Play TechCenter, where LendingClub began as a small company – and had a clear rapport with Saeed Amidi, founder of Plug and Play. Lastly, Renauld advised startups seeking funding to focus on the person, and not firm, when choosing an investor. He cited the value created by Jeff Crowe of Norwest (venture capital arm of Wells Fargo) in building relationships with the Bank, and helping to build out their business. So, while ideas may be commodities (to a degree), the role of relationships was driven home by the more upbeat camaraderie of the leaders at today’s FinTech event, who came together to celebrate successes and share words of wisdom with the next generation. If you’re looking for some advice for your startup, join an upcoming FinTech Meetup (e.g. SF FinTech Meetup, FinTech Startups Meetup in NYC; NewFinance or Innovate Finance in London). Build relationships and try to get in front of an angel (following advice of Joe Lonsdale from Formation 8). Refining your story will help refine your ideas. Ideas won’t get you funded – especially in a red hot area of FinTech – but the dialogue can lead to relationships that make all the difference. Jon Lehr, Venture Director of Work-Bench, recently gave some terrific advice on role of relationship building in his last article in TechCrunch. So while the concept that ‘ideas are commodities’ may sound deflating, it just means ideas are only the start – you need to assemble the right team, and develop the right relationships with partners who can help you grow. 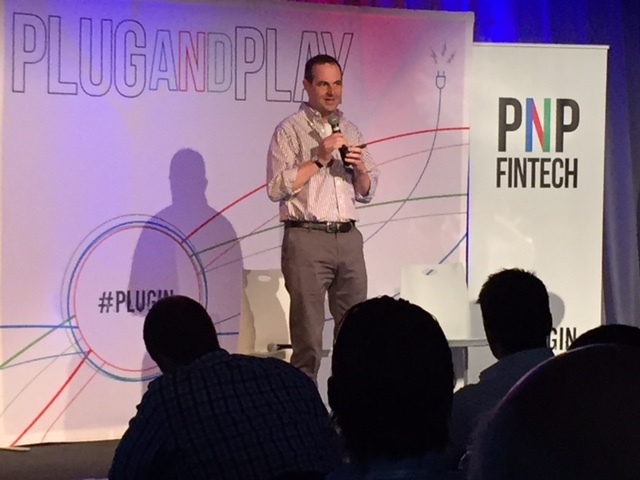 Finally, a big thank you to Scott Robinson, Director of the FinTech Accelerator program at Plug and Play TechCenter, Saeed Amidi, Founder of Plug and Play, and the whole team for putting on a great event in Sunnyvale. Posted on May 22, 2015 May 22, 2015 by Michael Halloran	This entry was posted in Uncategorized and tagged A16Z, Bitwage, CitiVentures, Formation 8, Norwest, Plug and Play TechCenter, Work-Bench. Bookmark the permalink.